Steven Pinker is a Johnstone Family Professor in the Department of Psychology at Harvard University. He conducts research on language and cognition, writes for publications such as the New York Times, Time and The Atlantic, and is the author of ten books. 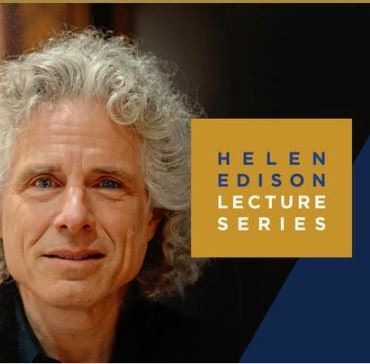 Join Peter Cowhey, UCSD Dean of the School of Global Policy and Strategy for an in-depth conversation with Steven Pinker, an experimental psychologist and Johnstone Family Professor Psychology at Harvard University. More information at: https://extension.ucsd.edu/he-steven-pinker. The School of Global Policy and Strategy is celebrating its 30th anniversary by exploring the themes that will shape global dynamics for the coming decades: crafting 21st century policy, navigating an evolving political economy, and fusing technology and policy. Unfotunately, the event has sold out.